Reverend Lyne Oladapo is a passionate preacher of the Word of Faith with an overwhelming heart of compassion. 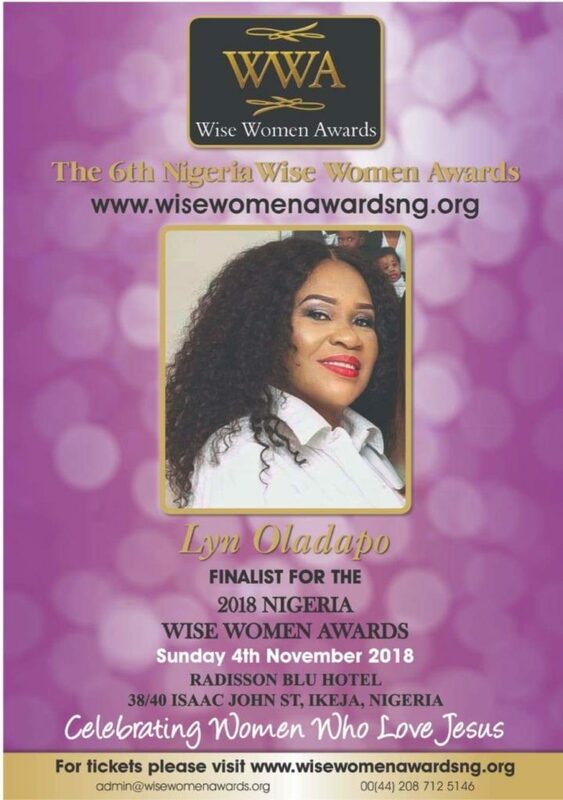 She is the President of Lyne Oladapo Ministries and the Founder of Deborah Movement, a ministry that stirs up women to be more than they are in God. She has honored international speaking engagements in the UK, USA, Cote’devoir, Ghana, Togo and Nigeria. Through her Non-profit, Adonai Empowerment Foundation, she has reached out to over 10,000 needy families giving grants and distributing relief aid. She has authored 7 powerful books namely, Overcoming the Spirit of the Strange Woman, Dating Expose, Prepared for Marriage, Falling In Love with Your Spouse All Over Again, Marry Me, 50 Golden Secrets to Keep Your Job and Ten Commandments of Marriage. She is a Wife, Mother and a Grand-Mother. She currently lives in Lagos, Nigeria.